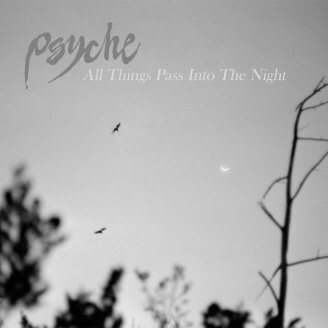 Psyche are a Canadian dark synth pop act centered around singer Darrin Huss, who has made his homebase in Germany. Since their debut album "Insomnia Theatre" in the early 80s, Psyche have continued to record, and perform globally nearly 30 years to date. Their indie electro-pop hits such as "Unveiling The Secret", "Prisoner To Desire", "Sanctuary", "Gods And Monsters", and "15 Minutes" are enjoyed throughout the world. Psyche's version of "Goodbye Horses", originally made famous by Q Lazzarus (as heard in that pivotal Buffalo Bill moment in the movie "Silence Of The Lambs") has maintained and continued their renown as it has been played, and performed throughout Europe, and as far away as Mexico, South Africa, and Australia. Optimo offers a re-aquaintance with not only the exclusive re-workings of two favorite club songs "Goodbye Horses" and "Prisoner To Desire", but also with two of Psyche's pioneering instrumental tracks that inspired DJs and electronic fans alike. “Eating Violins” is another giant on the European dance scene, and“Contorting the Image” is a cosmic disco classic, popularised by Daniele Baldelli, often played at 33rpm instead of 45, but it can be played at EITHER speed . You choose. All four tracks are exclusive mixes to this Optimo Music release! “I'm the type of person who almost never never falls out of love with music I have loved in the past. I first came across Psyche in 1986 and was an instant fan. In 1987 my best friend persuaded me to audition for the warm up dj job at a club we used to attend in Edinburgh. I had never DJed in my life at this point but the prospect of getting to play my favourite records very loud was extremely enticing to me, so i was persuaded. It turned out the guys who ran the club adored Psyche's ‘Prisoner to Desire’, which i played during my audition, so I got the job pretty much on the back of playing that and it went on to become one of my signature songs at that club. Maybe if i hadn't played it I would never have got the bug for djing and my life would have gone down a completely different path? I never stopped listening to Psyche but in recent years I started playing some of their records in my sets again. RE-PRESS COMES IN RED COLOURED VINYL!